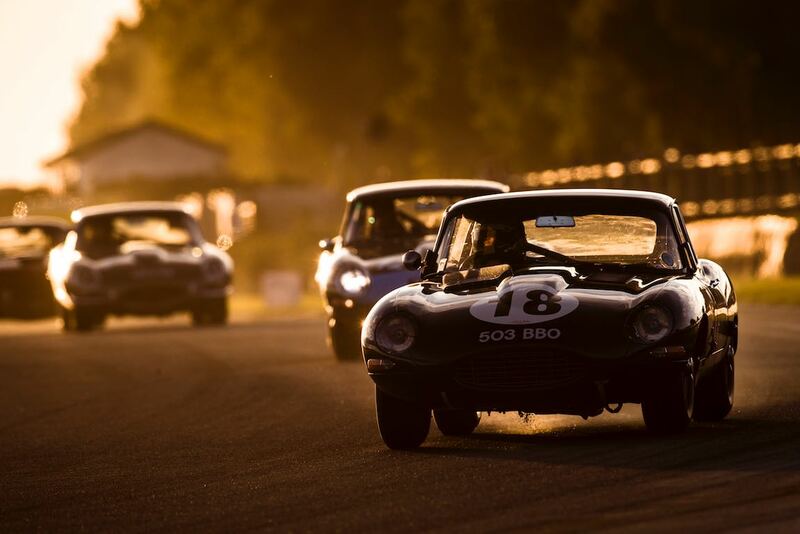 The Kinrara Trophy race at the Goodwood Revival 2018 was held Friday, September 7th at the Goodwood Motor Circuit in West Sussex, England. 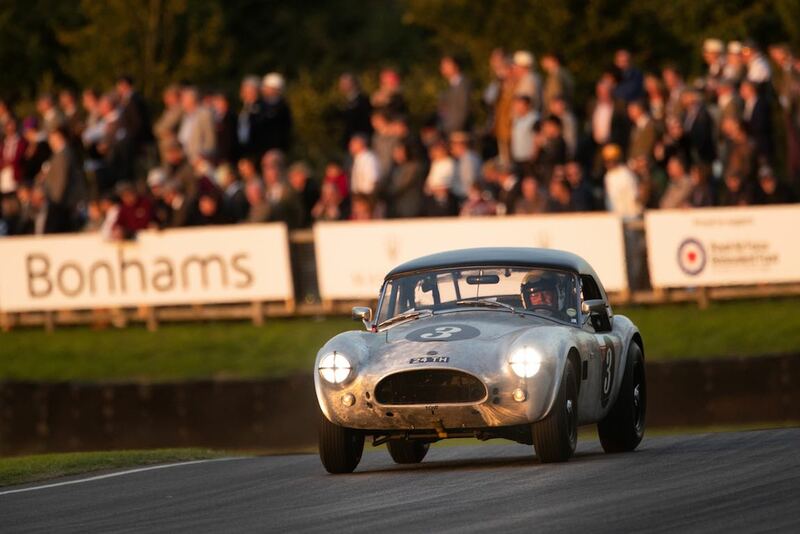 As the sun began to set on the first day of the 2018 Goodwood Revival Meeting, Emanuele Pirro and Niklas Halusa claimed a convincing victory in the Kinrara Trophy race. 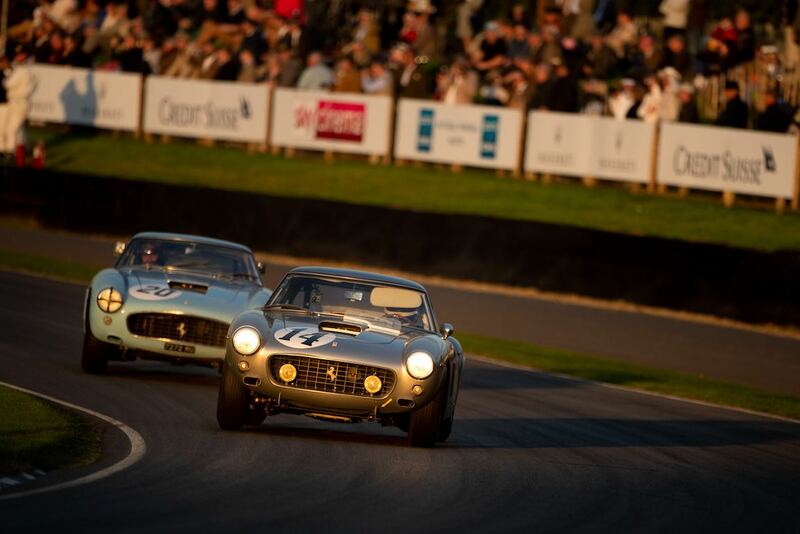 The Ferrari 250 GT SWB ‘Breadvan’ duo were made to work for the win, however, with Jaguar E-type pairing Jon Minshaw and Phil Keen being a threat for much of the one-hour running. It was only in the final few laps that the win was assured for veteran Pirro and his young wingman. Halusa was slow off the blocks at the start of the race, the Austrian’s Ferrari smoking its rear tyres as it struggled to find traction. Even so, the pole-sitting ‘Breadvan’ was in the lead as the field arrived at Madgwick for the first time. Halusa belied his lack of experience by keeping the fast-starting Minshaw at bay for the first two laps, only to get jumped at Madgwick third time around. 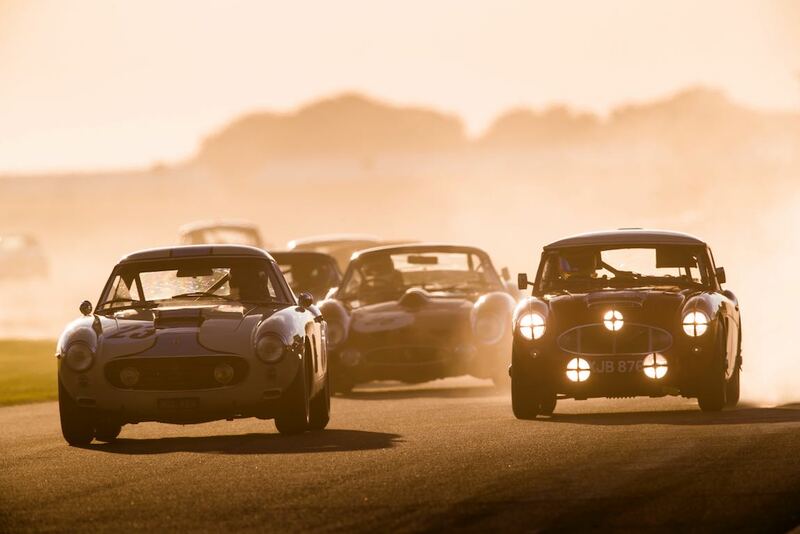 He returned the favour at the same spot a lap later, and the warring duo continued to trade places as they streaked away from the rest of the field. Just 0.47sec covered the top two at quarter-distance, and there was barely a car’s length between them when the pits opened for driver changes 23 minutes in. Minshaw was the first to blink, with Keen emerging on track in third place behind the Franklin / Lindsay E-type and the leading ‘Breadvan’. Halusa pitted 15 laps in, with Pirro venturing onto the circuit a few seconds after Keen had assumed the lead at the chicane. The race soon returned to a Ferrari versus Jaguar battle, with five-time Le Mans winner Pirro taking the lead at half-distance. The Roman wasn’t allowed to escape, though, and Keen nosed ahead in traffic, but the ‘Breadvan’ wasn’t to be denied. In the final quarter-of-an-hour, Pirro gradually eked out an advantage after Keen lost time amid errant back markers. In the closing minutes, all eyes were on the battle for third place. Nigel Greensall had seemed assured of the position aboard the Jaguar E-type Roadster he was sharing with the car’s owner, Chris Milner. 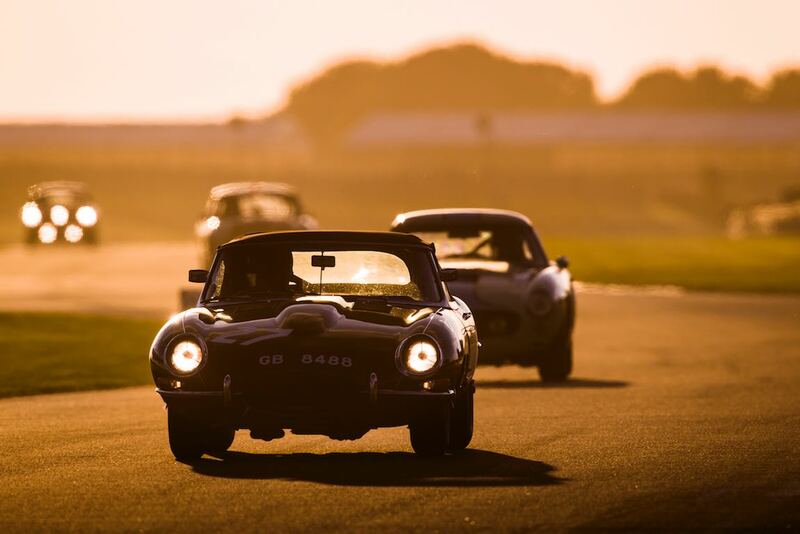 Nevertheless, Rob Huff threw caution to the wind in the Jaguar E-type Coupe started by Richard Meins. The former World Touring Car Champion guided the car on its lock-stops as he chased down his rival, and was glued to his tail with only 40-seconds left to run. Huff didn’t let the small matter of an unsecured bonnet obscuring his windscreen slacken his pace, and he pushed Greensall wide at Lavant to take the place. It was a thrilling end to a race that rarely lacked for dramatic dices. Simply superb photographs of a simply superb event. Same comment from me! 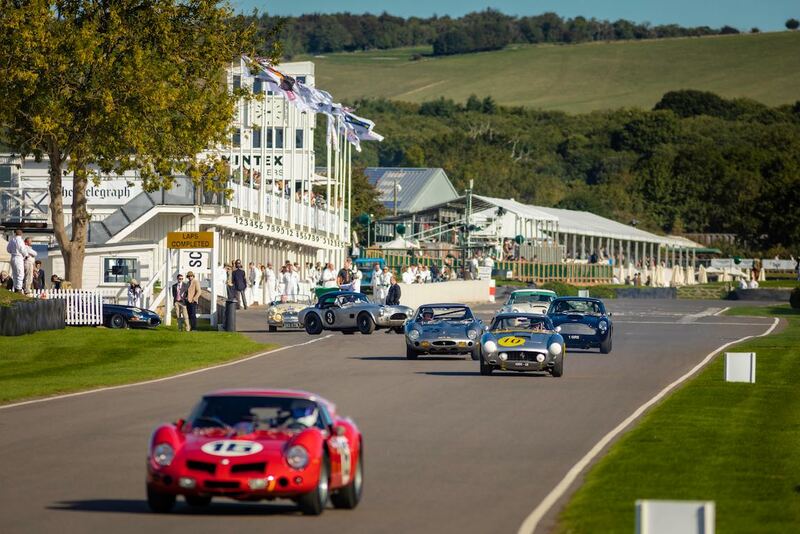 Wonderfully different take from Goodwood. Nice blend of into and away from the sun as well. Kudos! Love the way you did it. I’d like to have been there ! !